It's time for another IHG Rewards Club Buy Points Flash Sale! This time everyone can get a 100% bonus if buying 5,000 or more points. 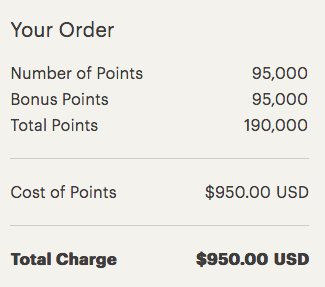 If you do buy points and buy the highest amount you can score IHG Rewards Club points for only half a US cent each. The maximum number points you can buy depends on if you have bought any yet this year. If you haven't then you can buy 100,000 points and get 100,000 bonus points on top of that.